President Trump on Friday rejected the media's attempt to blame him for a series of suspicious packages allegedly sent out by mentally ill career criminal Cesar Sayoc. Trump was asked by a gaggle of reporters shouting questions, "Are you to blame at all for what happened, Mr. President?" and "Does it bother you at all?" Trump responded, "No, not at all. No, I mean -- not at all, no. There's no blame. There's no anything. If you look at what happened to Steve Scalise, that was from a supporter of a different party. If you look at what happened on -- numerous of these incidents, they were supporters of others. No." The same media which says "#NotAllMuslims" after every Muslim terrorist attack is now collectively blaming all Trump supporters for this one lunatic's actions and trying to hold the president personally responsible for the attack even though he had nothing to do with it. 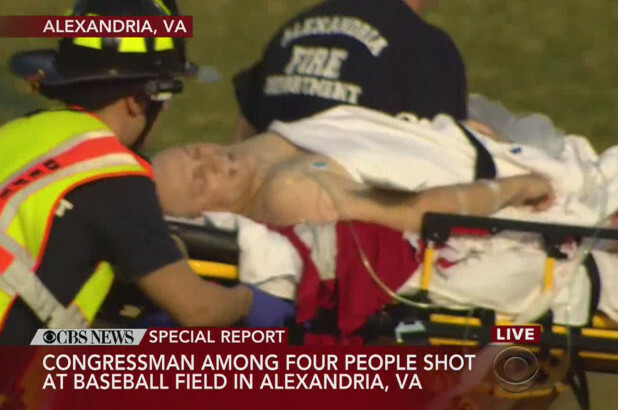 When Republican Steve Scalise and many others were shot on a baseball field in Alexandria by a Bernie Sanders supporter and Rachel Maddow fan who was screaming "this is for healthcare" with a kill list of conservatives legislators in his pocket, they all said it was absurd to hold Sanders or the media responsible for his actions and did nothing to tone down their rhetoric (their rhetoric has actually gotten much worse). THE PRESIDENT: I just want to compliment law enforcement for having done an incredible job. The FBI, the Secret Service � so many. I mean, they just got together and did a fantastic job. Like finding a needle in a haystack. So I want to congratulate them, as you know. I think everybody wants to congratulate them. But they did a fantastic job. I�m going to North Carolina right now. It�s raining, so if you don�t mind, I�ll step out of the rain. But I really � we�re very proud of law enforcement. Q Did you see your face on that van, sir? Did you see your face on that van? THE PRESIDENT: I did not. I did not see my face on the van. I don�t know � I heard he was a person that preferred me over others, but I did not see that. Q Are you to blame at all for what happened, Mr. President? Q Does it bother you at all? THE PRESIDENT: No, not at all. No, I mean � not at all, no. There�s no blame. There�s no anything. If you look at what happened to Steve Scalise, that was from a supporter of a different party. If you look at what happened on � numerous of these incidents, they were supporters of others. No. I�m just really proud of law enforcement. I think they did an incredible job. And I will see you in North Carolina. Q Could you do something differently in the way that you engaged (inaudible)? THE PRESIDENT: No, I don�t think so. I think that we�re running a great campaign. People love what we�re doing. They love what we�re saying. The Republicans had tremendous momentum, and then, of course, this happened, where all that you people talked about was that. And rightfully so. It was a big thing. Rightfully so. But now we have to start the momentum again. I think the Republicans have tremendous momentum � when you think of Judge Kavanaugh, when you think of all the things that have happened. And hopefully we�re going to go into a great victory. We have a lot of Senate races where we�re leading � races that, frankly, were going to be uncontested. It looks like we�re leading a lot of those races. The House is � got a lot of people in the House, so we�re going to see how that goes. But I think we�re doing very well in the House. Q Will you call President Obama or any of those targets to update them? THE PRESIDENT: If they wanted me to. But I think we�ll probably pass. Q Would you yourself pledge to tone down the President for the next few days during the campaign? THE PRESIDENT: Well, I think I�ve been toned down, if you want to know the truth. I could really tone it up. Because, as you know, the media has been extremely unfair to me and to the Republican Party. Q How? How have we been unfair? 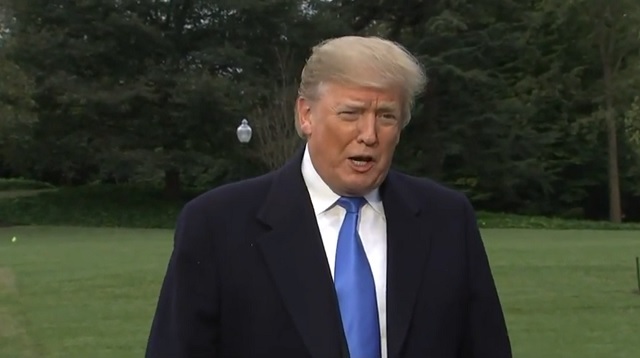 THE PRESIDENT: I think the media has been very, very unfair in terms of the Republican Party and the way it�s been covered. And they understand that. They write articles about that. Many of them admit that. But the media has been unbelievably unfair to Republicans, conservatives, and certainly to me. But with all of that being said, we�re winning. So, I like that.